Conjuring Arts has recently turned up a small quantity of this very hard to find, limited edition book and they are in NEW condition. This fine volume belongs on the bookshelf of every magic historian or collector. Don’t miss this once-in-a-lifetime opportunity to buy a copy of this classic in NEW condition. 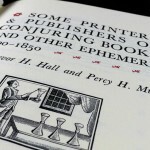 One of the most gorgeous and elaborately produced books in the entire conjuring lexicon, Some Printers & Publishers of Conjuring Books and Other Ephemera by Trevor H. Hall and Percy H. Muir is a historical look at the people who brought us a number of our classic books. 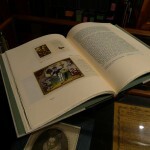 The book began as an attempt by the authors to utilize their knowledge of historical printing processes and printers as a method of dating books whose dates were unknown, but the scope of the book grew to encompass much more than that. 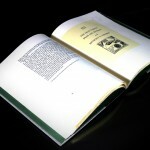 It was published by The Elmete Press in 1976 in a limited run of 465 numbered copies. 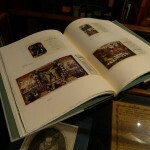 We recently uncovered a few pristine copies and are very pleased to be able to offer them for sale to our customers. 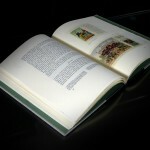 The book is 95 pages on mould-made, cream laid, rag paper made by St. Cuthbert’s Mill. 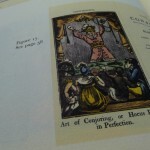 The illustrations are reproduction from old conjuring books utilizing lithography printing, while other details have been added using letterpress. 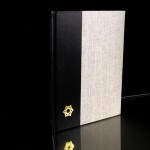 It is bound ⅓ in black calf with crushed canvas sides and blocked in real gold. This is a very scarce and desirable book, long out of print, with some great images. 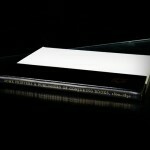 We include the original vinyl cover used to protect the book. Note that the price when offered new was $85, equivalent to $350 today, so our price is much cheaper than when first sold!